an oral acne medication that has been used in the United States since 1982. It is a synthetic retinoid and closely related to Vitamin A. Before isotretinoin became available, dermatologists had no consistently effective treatment for the severe forms of acne. Despite the use of sulfa medicines, freezing therapy, ultraviolet light, x-ray therapy, surgery, and high doses of various antibiotics, severe acne would frequently continue for years unabated. Patients would suffer with painful cysts that would produce scars and severe psychological problems, despite the best therapies and intentions available. Isotretinoin has dramatically changed all that. Over the last two decades, millions of people all over the world have successfully and safely used isotretinoin to clear their resistant acne. Perhaps more importantly, isotretinoin has converted thousands of reclusive and very unhappy patients with unsightly faces, into clear-skinned and self-confident individuals. Isotretinoin is not just a face-saver; it is a true "life changer"! In 2009, Roche Pharmaceuticals, the original manufacturer of Isotretinoin, ceased production of the brand Accutane. While Accutane can no longer be purchased, there are still several other branded generics available, including Claravis and Sotret. Because of the FDA's increasing concern over potential severe side effects, a monitoring website was instituted in 2005. The FDA has directed that all patients who are to receive isotretinoin must be registered and monitored on this website. The FDA has also mandated that pharmacists can only fill or refill prescriptions for the medicine within a 7 day window, and they must be on paper. The FDA, the drug manufacturer, and all dermatologists want to be sure that every patient who is placed on isotretinoin understands all of the drug's potential side effects. I have read the documentation issued by the FDA and I feel it covers the main risks quite thoroughly. I am, however, concerned that it raises excessive fears about other risks that are either extremely rare or are simply not related to Isotretinoin. I am also worried that patients, or their families, may conclude that isotretinoin is a terribly dangerous drug. This is simply not the case. Parents may refuse to allow the drug to be used when it is really indicated. I fear that some of some of my patients will be forced to endure years of painful acne with resultant facial and psychological scarring because of unwarranted fears over potential rare isotretinoin side effects! Having personally prescribed isotretinoin to many hundreds of patients since 1992, I feel that isotretinoin is a very safe medication. For most patients who have treatment-resistant acne, and who understand the risks and agree to follow the rules, I will be very happy to prescribe this excellent medication. My goal as a dermatologist is to clear, and if possible, cure skin diseases as quickly, safely, and efficiently as possible. I do not want my patients to be denied the use of an excellent medication because of unrealistic and exaggerated fears. So what are the Real Risks of Isotretinoin? For fertile female patients ("of child bearing age"), the most serious and feared side effect of isotretinoin by far has to do with the drug's teratogenic potential: it can definitely cause very serious birth defects in a developing fetus. The birth defects occur in the first few weeks after conception if the embryo/ fetus is exposed to any amount of Isotretinoin. This time period is often before the woman even recognizes that she is pregnant. Therefore it is mandatory that every fertile woman anticipating isotretinoin usage must take measures to absolutely insure that she will not be pregnant for one month prior to the start of isotretinoin therapy, and that she will not conceive while on the treatment, or for one month after the treatment. Two forms of contraception must be used simultaneously. Isotretinoin gets out of the body just a few weeks after stopping the medication, so it will not affect future pregnancies. For all fertile female patients, there will be mandatory, direct, and repeated discussions about pregnancy, contraception, and the mandatory need for periodic pregnancy testing. Please do not be embarrassed: I have this discussion with all female patients contemplating isotretinoin therapy! Because of the potential for severe birth defects, any sexually active female must decide in advance what she would do in the event that she did become pregnant while on Isotretinoin. As I told you, I believe that if exposure to isotretinoin occurs during a pregnancy, the pregnancy should be terminated. Although isotretinoin is a truly miraculous drug, it does have well known and potentially serious side effects. However, virtually all medications, including aspirin, penicillin, Tylenol and even vitamin pills have potentially serious side effects. Isotretinoin has recently come under increased scrutiny by the public, the media, and the FDA because of charges that it may have induced serious depression in some patients. Tragically, a number of patients, while on courses of Isotretinoin, committed suicide. Of course, many individuals over the last two decades who were not on isotretinoin also became depressed and some even committed suicide. What is scientifically unclear is whether or not there may be a significantly increased risk of depression and mental status changes in people on isotretinoin compared to similar people not on Isotretinoin. In almost twenty years of prescribing Isotretinoin, I can recall only one patient who developed some depression while on Isotretinoin. In my experience, and the experience of my colleagues, the development of serious depression while on isotretinoin is certainly a very rare event. I have, on the other hand, treated many patients who were depressed prior to starting Isotretinoin. I do not recall any aggravation of the symptoms of depression in any of these closely watched patients while on Isotretinoin. I do recall that many of these patients had a dramatic clearing of their depression as their acne cleared. I believe most dermatologists would agree that isotretinoin is far more likely to improve depression than to induce depression in our patient population. Nevertheless, it is vitally important that patients and their family inform their physician of any changes in mood, activities, appetite, concentration, sleep habits or suicidal thoughts as these could be signs of depression. 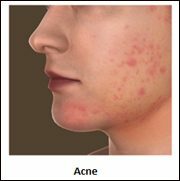 In a study published in the Archives of Dermatology in October 2000, 7535 acne patients treated with isotretinoin were compared to 14376 acne patients treated with oral antibiotics. There were no differences in the incidence of depression, psychosis, suicide and attempted suicide among the two groups. Nevertheless, despite this large study, it is still possible that isotretinoin could be a factor in the development of depression in a small subset of patients. There are certainly documented cases of patients who have developed depression while on a twenty-week course of Isotretinoin. Some of these patients noted improvement in their depression when the isotretinoin was stopped, and some later noted worsening of their depression when the isotretinoin was reintroduced. This certainly suggests a possible cause and effect relationship in this small subset of isotretinoin treated patients. There are also reports of depression developing three or more months after coming off of Isotretinoin. We know, however, that isotretinoin is completely out of the body approximately two weeks after stopping the drug, and so these reports suggest to me that individuals who happen to develop depression many months after taking isotretinoin may see the medicine as the cause for their condition. Whether or not isotretinoin can cause depression is still scientifically uncertain; however, what is certain is that depression does occur frequently in young people and it can, unfortunately, lead to some very serious and sometimes fatal, consequences. Therefore, it is vitally important that all patients using isotretinoin be carefully observed by friends, physicians and family for signs or symptoms of altered mental status including depression. If such changes are noted, appropriate therapy should be initiated at the earliest opportunity. Isotretinoin and other vitamin A analogues (synthetic retinoids) can occasionally induce elevations of blood levels of triglycerides and cholesterol. This is rarely a problem in young people, but it is not uncommon in older patients. For this reason, the lipid levels need to be monitored to ensure that there are not any significant elevations. If the lipid levels become markedly elevated, there is a remote chance that serious inflammation of the pancreas (acute pancreatitis) could occur. 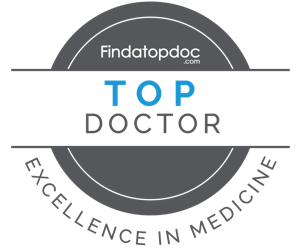 In my own practice, I have never seen a case of pancreatitis, although I have had a few patients experience moderate elevations of their blood lipid levels. Too much alcohol can inflame the liver and raise lipid levels, and so it is wise to decrease or eliminate alcohol use while on Isotretinoin. Increased swelling of the brain, which is called pseudotumor cerebri, has been rarely reported with Isotretinoin, along with Vitamin A and other drugs, including tetracycline. If this occurs, patients first experience headache symptoms, and if the headaches persist and become severe, patients could also develop blurred vision, nausea and vomiting. Therefore, patients are cautioned to contact their physician if a severe and persistent headache develops. I have never had any patients develop pseudotumor cerebri in my practice. Altered night vision has been reported with Isotretinoin. If visual problems do develop, the isotretinoin should be stopped. Isotretinoin can also cause slight drying of the eyes by decreasing tear formation and this may make it more difficult to wear contact lenses. Usually this is not a problem with wearers of soft contact lenses. A few cases of hearing problems have been reported, all of which resolved when the medicine was stopped. It appears to be extremely rare. Only 2 of my patients have ever developed any hearing problems while taking isotretinoin and the cause of these problems is not clear. Dry skin and chapped lips will occur in virtually every patient taking Isotretinoin. If the lips become too dry, the isotretinoin can be stopped for a week to allow the lips to recover. The inside of the nose may also get dry and this may lead to minor nosebleeds. Occasionally there can be some increased hair shedding while on Isotretinoin. All these changes generally reverse when isotretinoin is decreased or discontinued. Occasionally, isotretinoin can make cystic acne lesions more inflamed during the first few weeks of therapy. Isotretinoin can also make the skin more sensitive to trauma. Because of this increased fragility, patients should not undergo electrolysis removal of hair, waxing of hair, chemical peeling, dermabrasion, microdermabrasion or laser facial treatments while on isotretinoin and for a year after coming off of the Isotretinoin. Isotretinoin may produce muscle inflammation and muscle and joint pains. This may be particularly common if the patient is on high doses of isotretinoin and engages in vigorous sports, such as long distance running. Abnormalities of the bone have not been a significant problem with the use of Isotretinoin in acne. It has been suggested for many years that there may be a connection between isotretinoin and inflammatory bowel disease (IBD). This has never been shown as factual, although any number of law firms will try to tell you otherwise. The latest research suggests that chronic antibiotic therapy is more likely to contribute to this issue than isotretinoin. Isotretinoin is dramatically effective for all types of acne, including severe scarring cystic acne. There is simply no better treatment for acne!